With Apple having Siri and Samsung having S-Voice, we were kind of wondering if any other other manufacturers were going to join this voice driven assistant party. As it turns out, LG is willing to take a run at it having now unveiled Quick Voice as they're calling it in Korea. LG's Quick Voice (from what we can tell so far) will provide you with all that you would expect from a voice recognition system. Meaning it can launch searches, schedule appointments, bring up apps, make calls and even tell you what the date is. 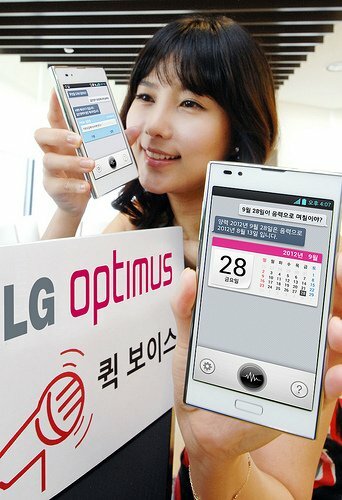 Right now, LG has noted it will be coming to their Optimus line of devices by end of June through July through a software update. At this time, there is no mention of a U.S. release date but it seems likely that LG would want to roll it out in as many places as possible eventually.